Join the many people worldwide who know the benefits of growing their own food. What is Super Soil and Why is it so Important? Healthy living soil means healthy thriving plants which means healthy fresh food. The health of everything depends on the soil. We use only the finest super soil consisting of 3-year-old finished compost and worm castings collected from over 5 million worms in our worm farm, nourished with organic food waste. Worm castings are high in beneficial fungi and bacteria, which enhance seed germination, plant growth, and crop yield, as well as improve root growth and soil structure. Your super soil has the proper pH balance and we add limestone to insure the pH stays in balance. Super soil promotes healthy cell tissues, which make your plants insect and disease resistant, too. 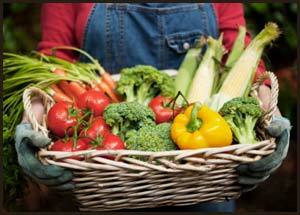 Your super soil is the perfect medium for growing sumptuous fruits, vegetables, herbs, or flowers. Contact us to order your Super Soil Raised Bed Garden today!